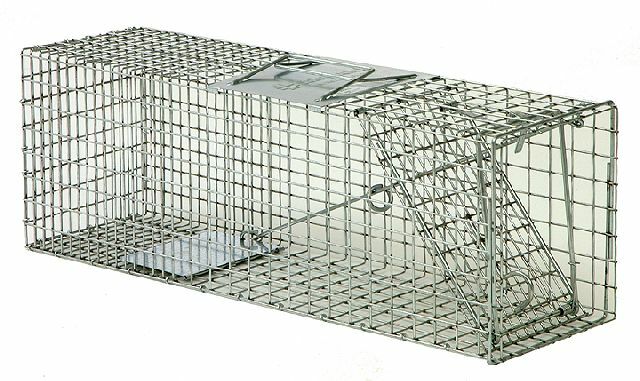 TRAP DESCRIPTION: Trap which measures 7" wide by 8" tall by 24" long. It has a 1" by 1" mesh. 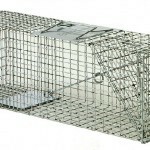 This trap is sturdy enough for many medium sized animals including rabbit but is good for large squirrels as well. It is spring loaded for quick and sure trips. The door locks when closed so animals can't escape. It's a true commercial type trap and made well to last many years.